Just when things were finally looking up for Andy. 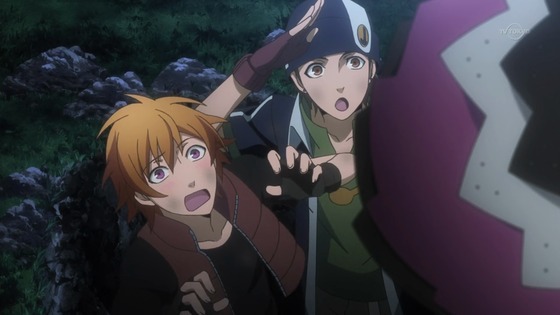 Reassured that familiarity with the original Aquarion was not strictly necessary before watching Evol, I took a chance and crashed through the first 13 episodes of the latter. Fans of the show may be perplexed that I don't hold the series in higher regard, but quite frankly the lead girl, Mikono, annoys the bejesus out of me. Mikono spends at least half of the first cour telling everyone that's she's worthless while doing everything she can to ensure there is no room for doubt. For no good reason, this marshalls Must Protect Mode from Potato-kun and his rival for Mikono's affection: her brother. 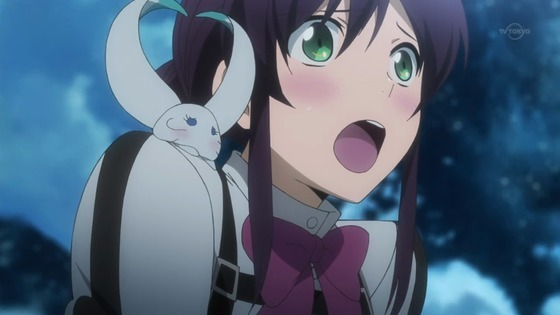 Amata surprises Mikono with his excitement. 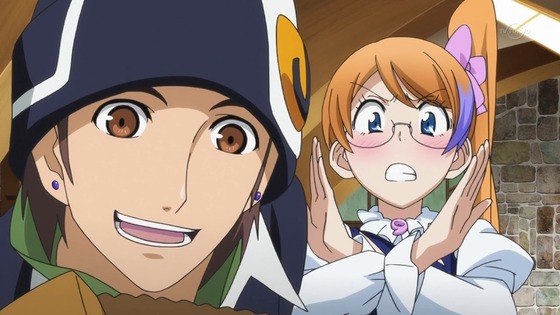 Thankfully, the comedy stylings of Andy Hole and his Classic Big-Bang Tsun-Tsun love interest, Mix, keep Aquarion Evol entertaining. Not that Amata constantly launching Mikono into the air with his boners can't be entertaining, but it's just not as interesting as hapless Andy's cockblocked adventures. with an idea can be a dangerous thing. 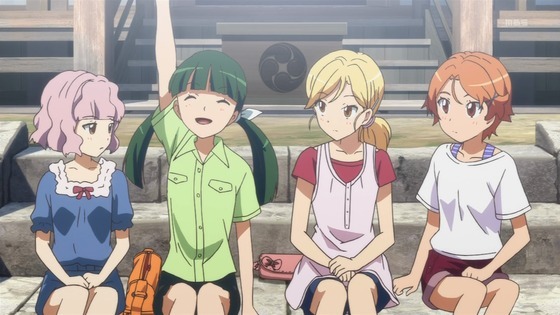 I've already explained why Natsuiro Kiseki is my favorite show from spring 2012. However, I didn't mention how shabby the animation looks at times. I'm really surprised to see such lapses from Sunrise, but the show is otherwise so good I'm willing to ignore those faults.